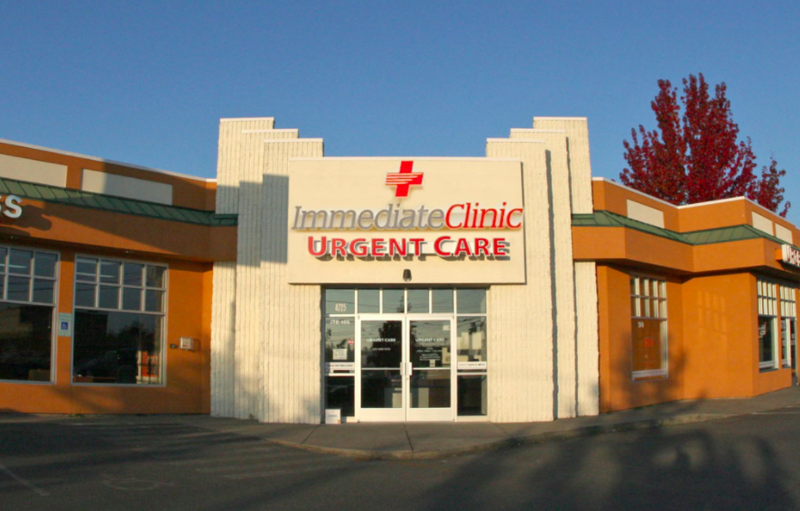 As part of the larger Immediate Clinic, this clinic has affiliates with the closest other clinic being in Shoreline about 3.2 miles away and is open today from 8:00am to 8:00pm. Recognized favorably amongst their patients, Immediate Clinic, Lynnwood has an average rating of 4.7 stars out of 5 based on 543 total ratings. The base price for an office visit at Immediate Clinic is $175 with additional services being an extra charge. Patients typically pay between $33 - $175 for common services. Immediate Clinic accepts many major insurance plans and multiple forms of payment, making it easier to get the affordable care you need. It is always a good idea to contact your insurance company before your visit to ensure the Clinic is in network for the service(s) you're seeking. Everyone was prompt, polite, and professional. The staff are super friendly. They go over everything with you and explain they why or how of what your symptoms are. I would def recommend this place to anyone who needs care. Thank you immediate clinic! Everyone especially the Dr, was professional and friendly with the exception of the women who brought me in the back and took my vitals. She was rude and unkind. The blood pressure machine wasn’t taking my pressure and she Snapped at me and accused the problem on me, she said . “First you moved your hand and then your finger, I saw you!” She moved it to my other arm and stared at me while it continued to start over (on my 2nd arm 3 times before it took my pressure. No apologies or anything for being so rude to me. Fortunately everyone Elise was very nice. I loved the Dr. and wouldn’t hesitate to go back. I’m hoping she was just having a bad day and that she isn’t like that with everyone. Everyone was courteous and professional. They gave me an estimated wait time and it was actually shorter. I have been there several times before and why I went to them again. My experience was overall great. The manager or owner was excellent & took great care of me. No need to raise the bar for other places to follow. You are the bar! I would, however, suggest coat racks/stands in all the rooms for (wait for it... ) : coats! Took my kiddo in for a sports physical and he was checked in then seen rather quickly. Front desk and care provider were super friendly and helpful! I went in without an appointment and was seen within 15 minutes. My prescriptions were called into my pharmacy and I had them within an hour. Great experience. Staff is very friendly and I loved my nurse practitioner- she was amazing! Aleays quick and great service by all staff.